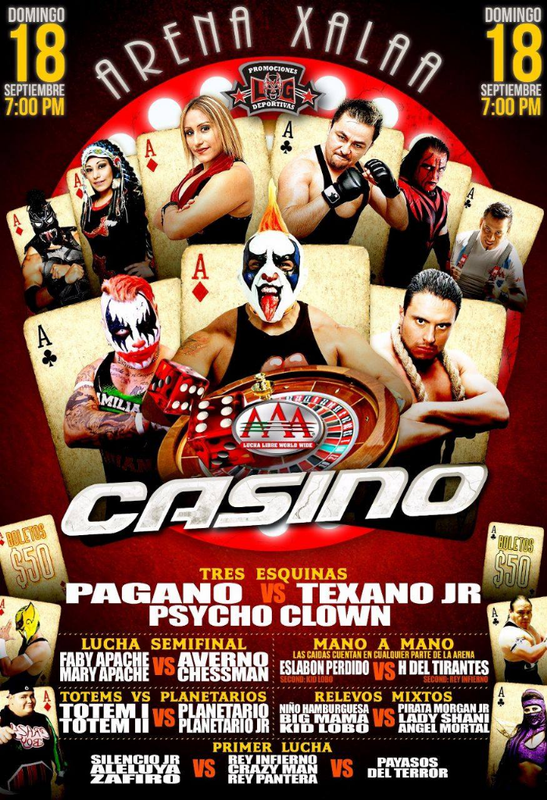 Averno & Chessman attacked Faby to set up the loss. 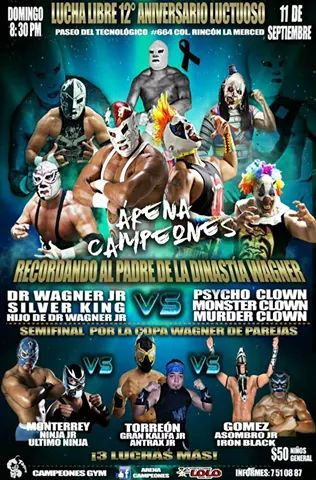 billed as the main event, though it wasn't the last match. 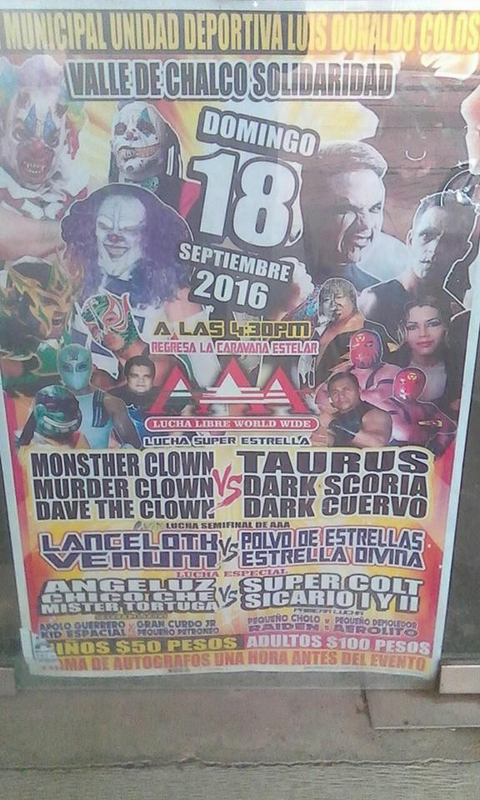 billed as second main event. 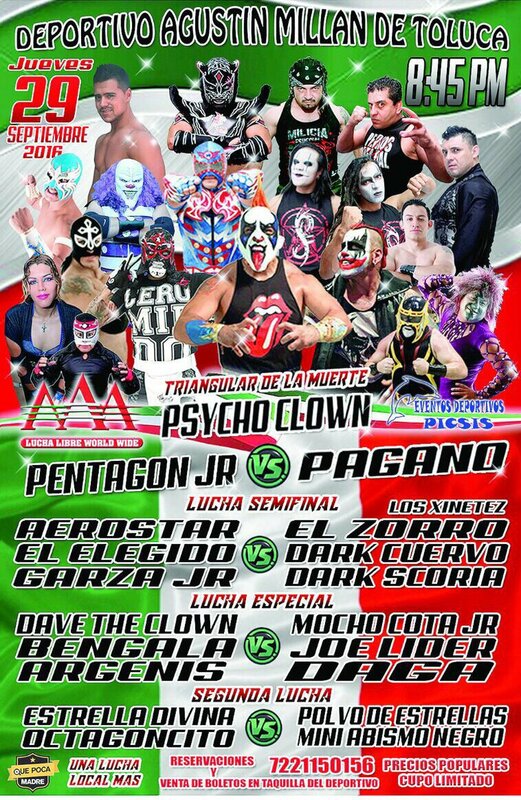 Both two winning tecnicos teams posed together after the show. 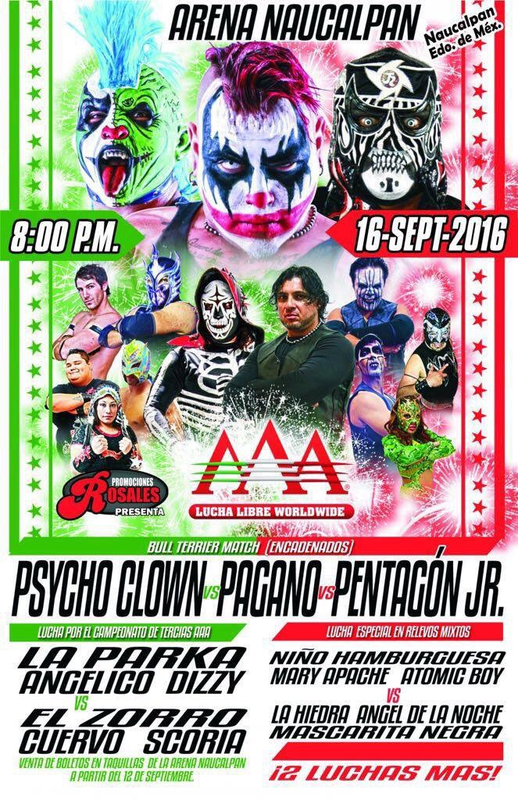 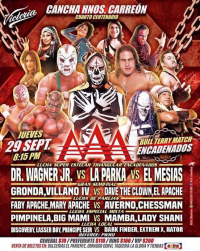 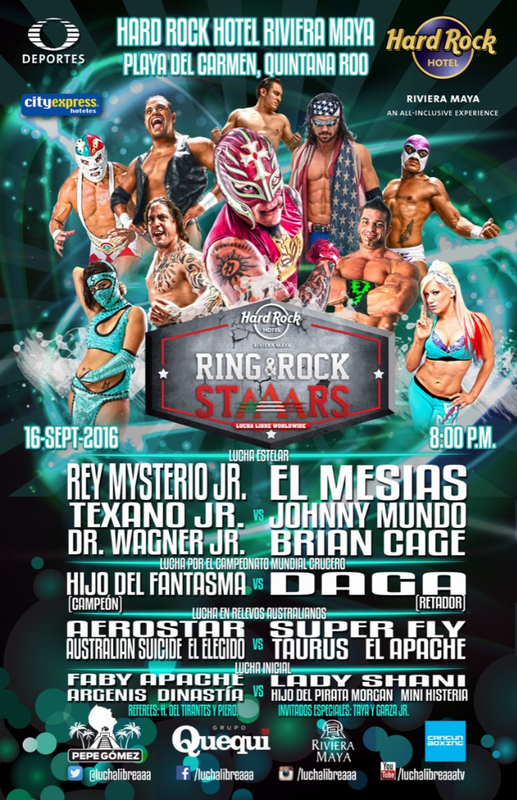 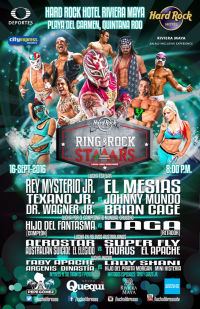 Hijo del Pirata Morgan was pulled from the show (on or before 09/12) after leaving AAA. 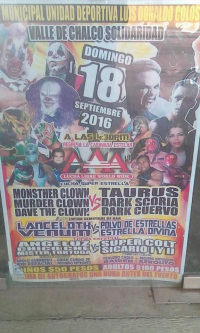 Dave the Clown replaced him. 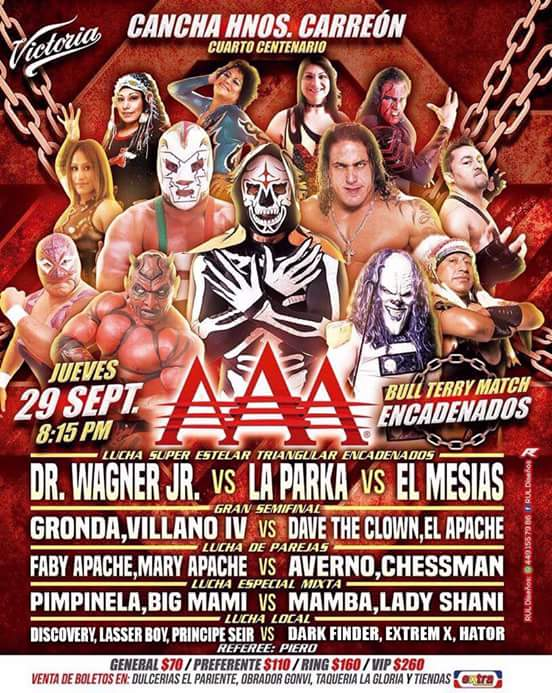 Taurus was pulled from the show (on or before 09/12) after leaving AAA. A mystery replacement was listed, but they ended up just pulling Suicide from the match to make it 2v2. 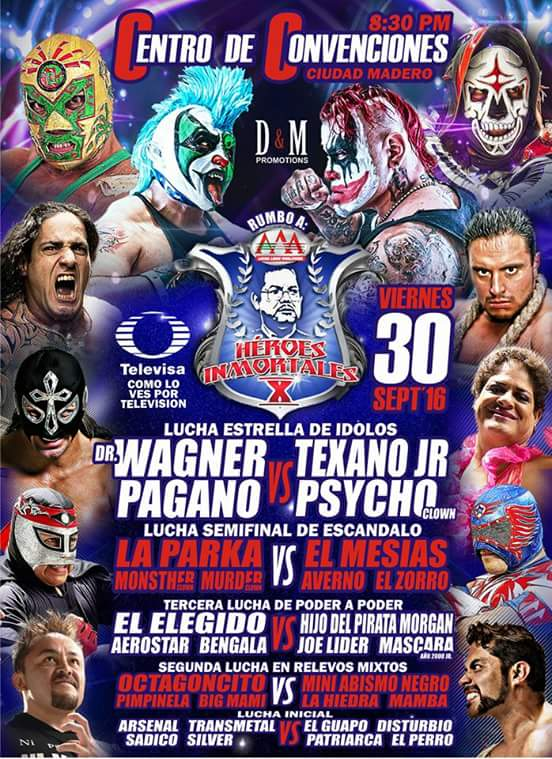 Super Fly beat Aerostar via powerbomb, and said he'd win the tag titles at Heroes Inmortales. 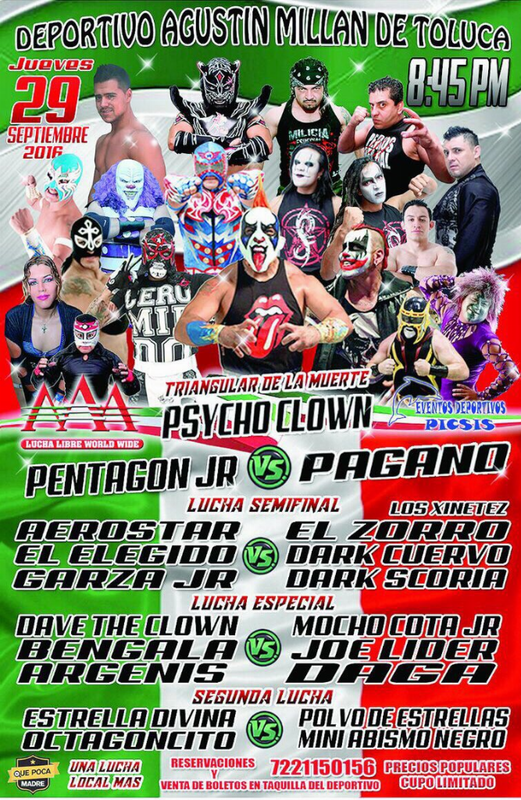 Fantasma fifth defense. 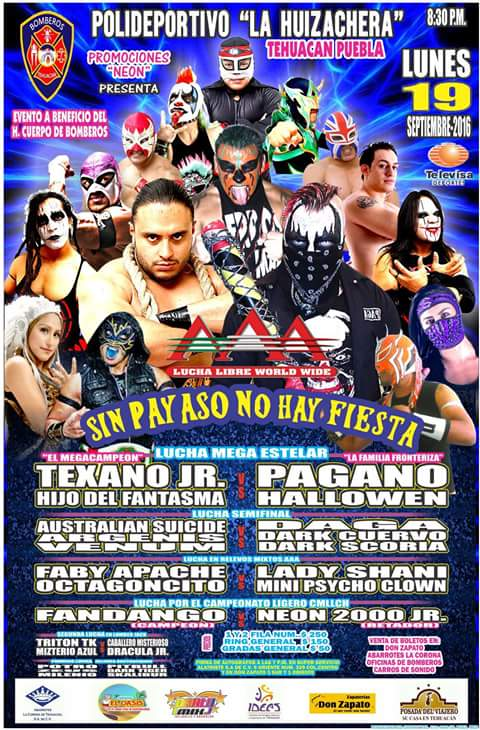 Australian Suicide added himself to the match. 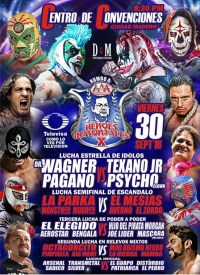 Fantasma pinned Daga to win. 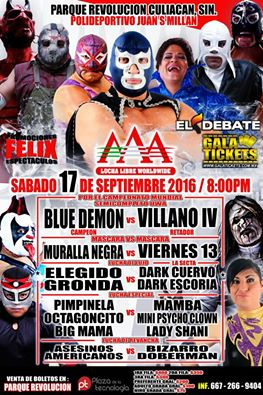 He and Daga fought after the match. 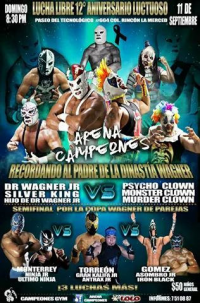 Dr. Wagner betrayed his team for the loss. Team Trump beat up the tecnicos after the match until Garza Jr. made the save, also kissing Taya to Mundo's annoyance. 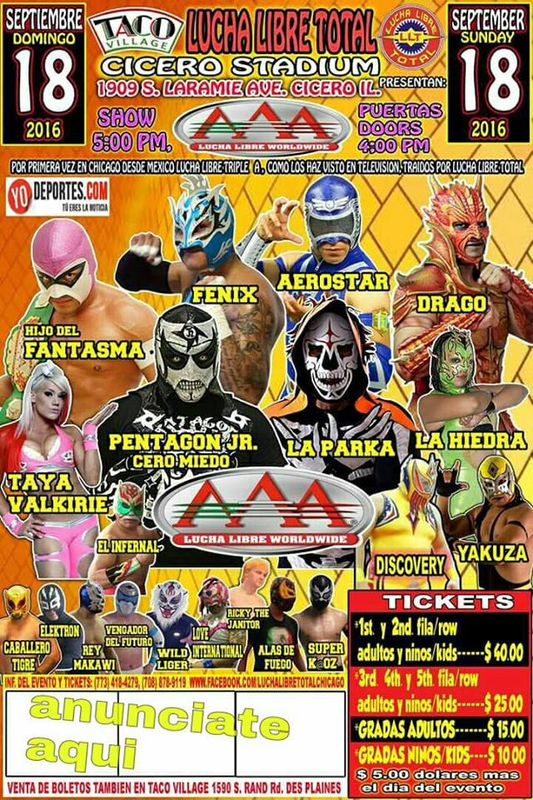 Kaving broke his leg during the match and will need surgery. 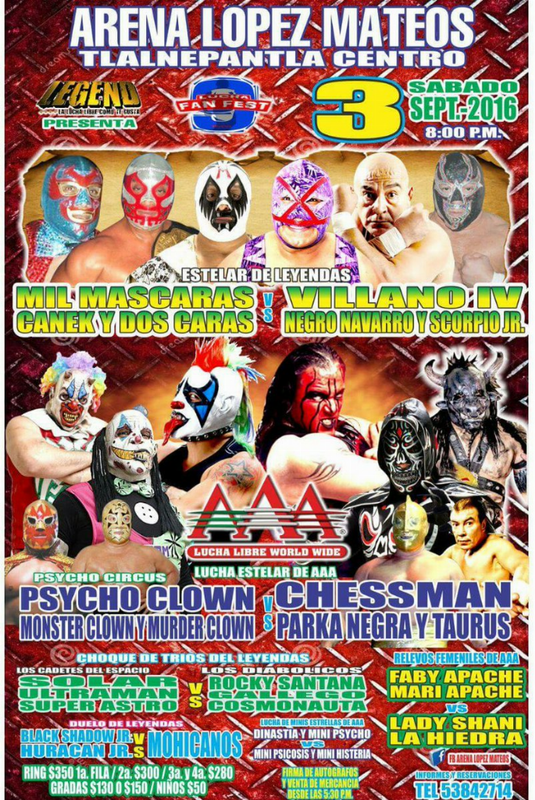 Averno faked a foul for the DQ. Pentagon came to the ring after the match and challenged Psycho Clown to a no rules match. 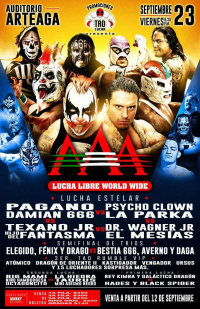 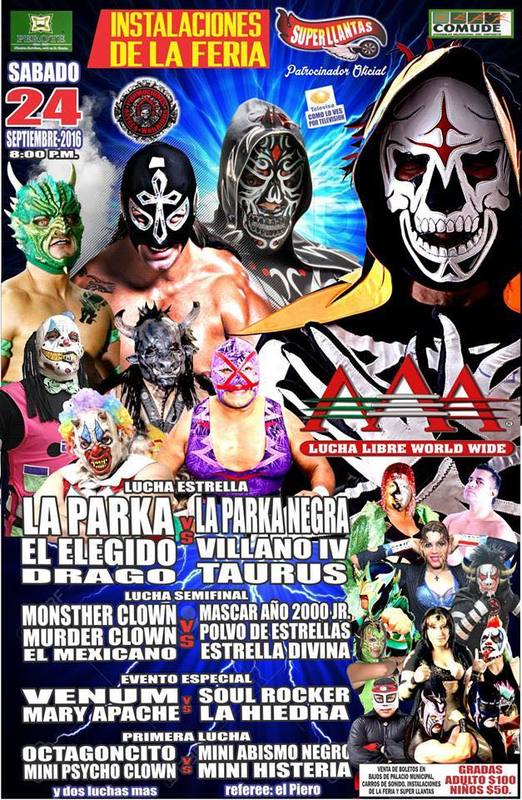 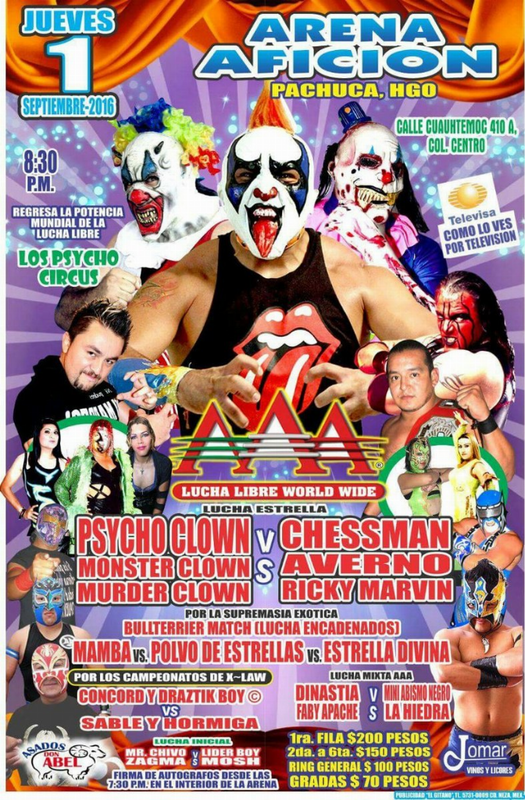 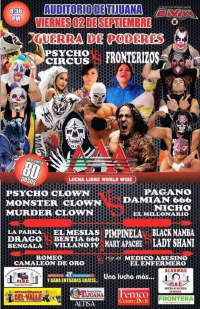 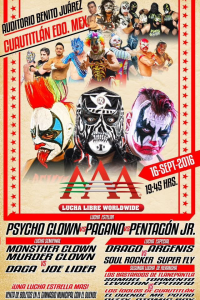 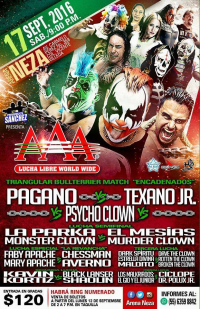 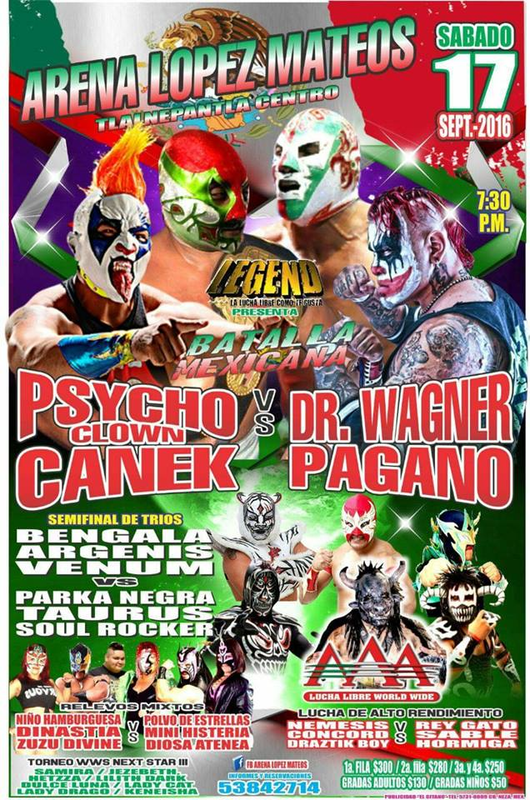 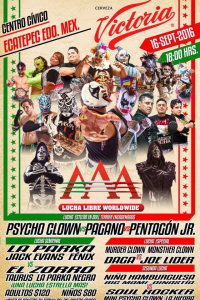 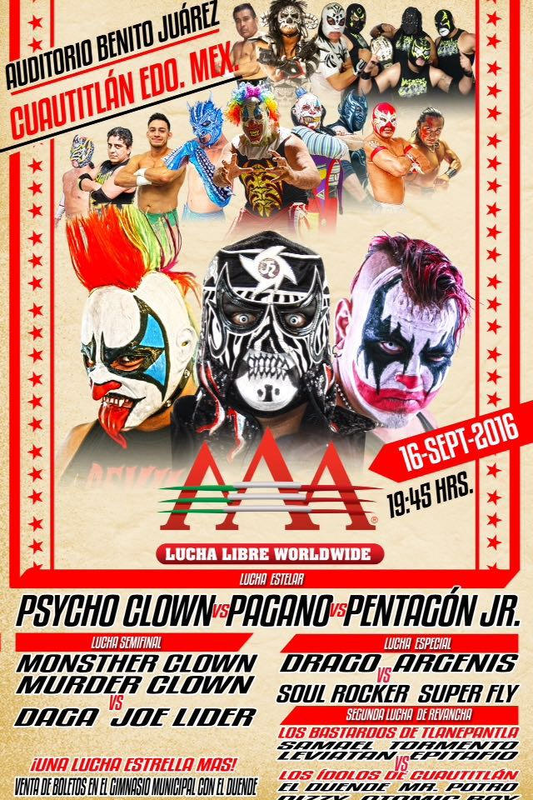 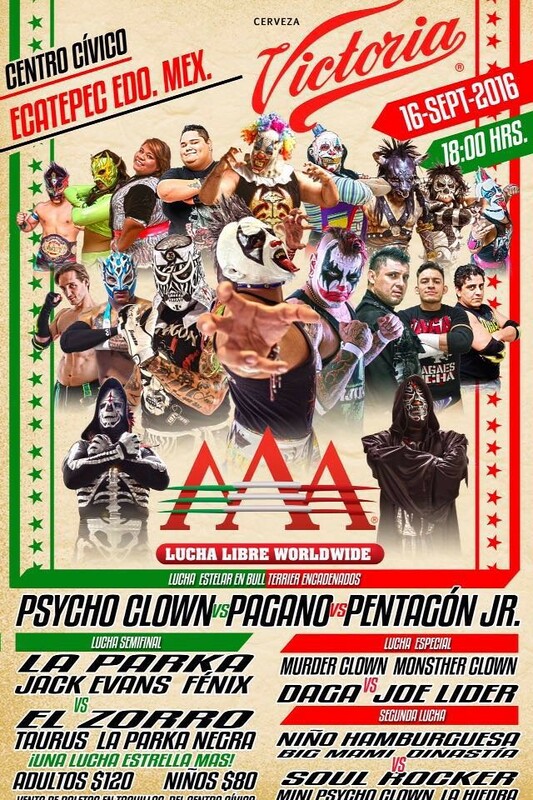 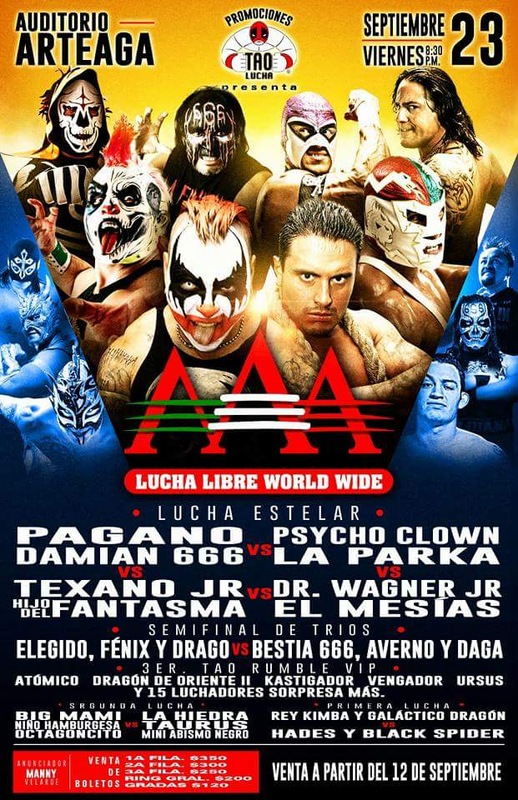 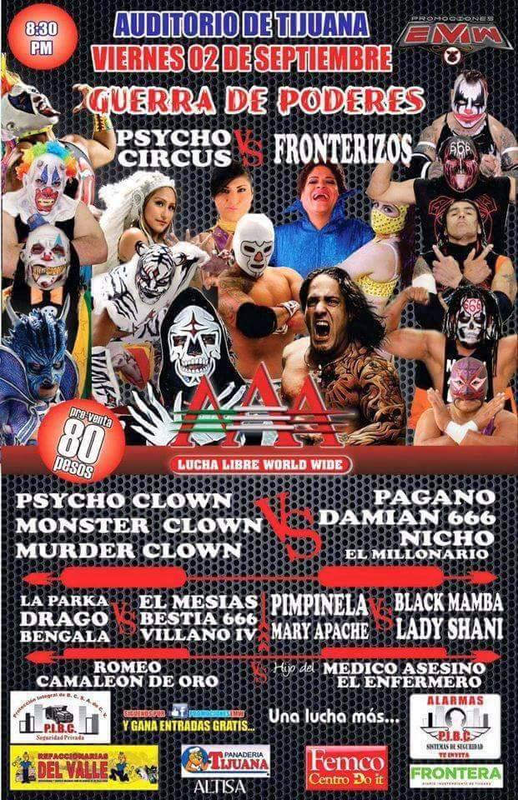 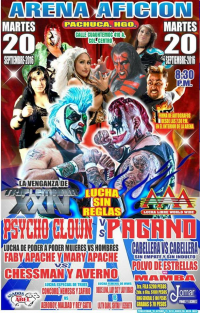 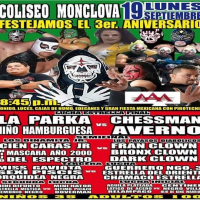 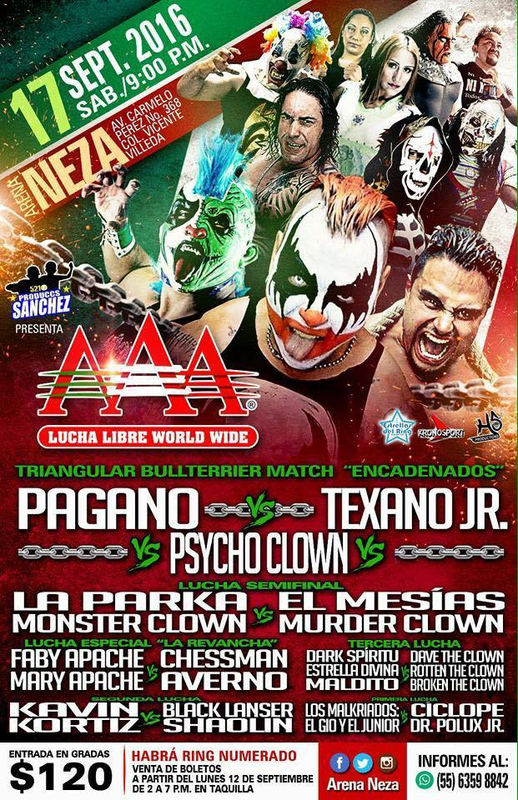 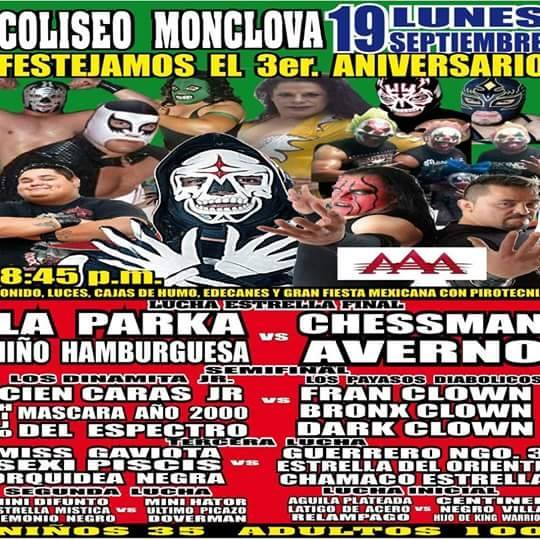 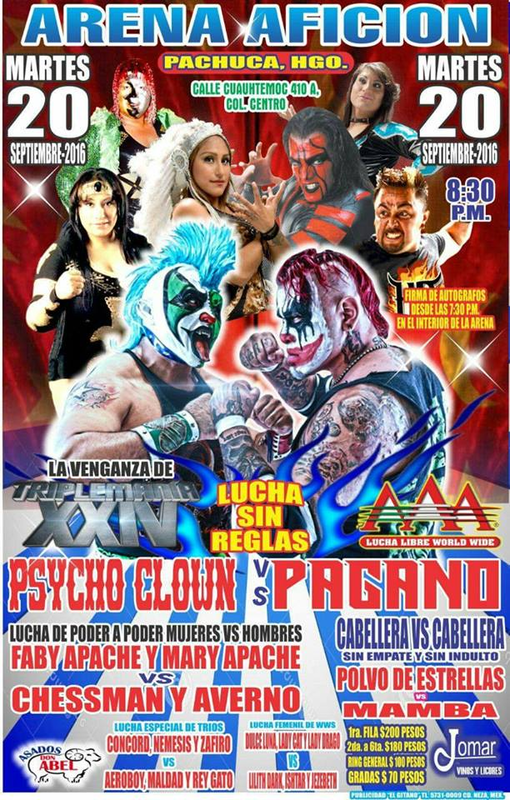 2) Big Mami, Kid Lobo, Niño Hamburguesa vs Ángel Mortal, Lady Shani, Pirata Morgan Jr.
3) Totem I & Totem II vs Planetario & Planetario Jr.
2) Aerostar, Discovery, La Parka DQ Drago, Hijo del Fantasma, Pentagón Jr.
2) Mizterio Azul & Tritón TK vs Caballero Misterioso & Dracula Jr.
3) Aerostar, Bengala, El Elegido vs Hijo de Pirata Morgan, Joe Lider, Máscara Año 2000 Jr.
5) Dr. Wagner Jr. & Pagano vs Psycho Clown & Texano Jr.